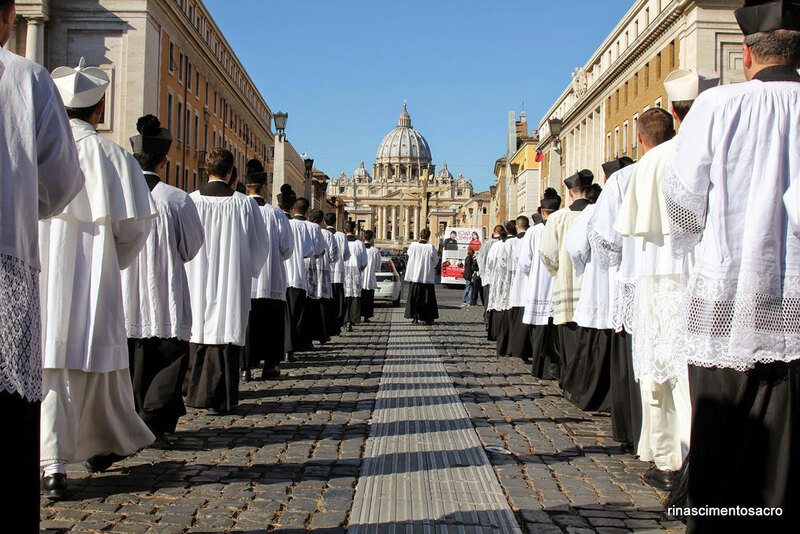 To be a Pilgrim – in the Year of Mercy! A central part of the Jubilee Year of Mercy in Rome and in every diocese, is the Door of Mercy, usually found in the Cathedral church, but in some larger dioceses in other churches as well. 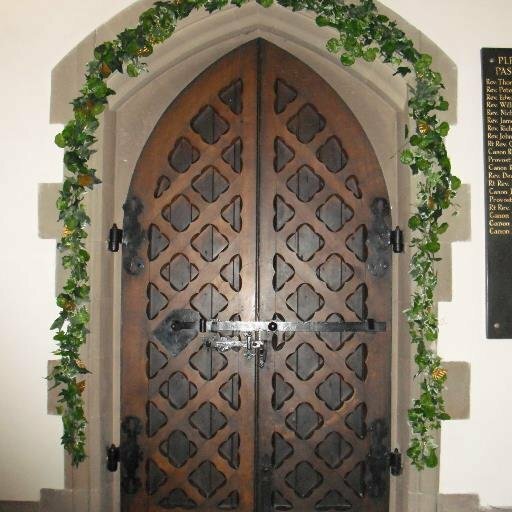 To reach the Door of Mercy requires a journey or pilgrimage, something which assumes its own unique spiritual significance for the believer. For we are called by God to leave the past behind with all its light and shade, what the apostle Paul calls ‘our old selves’, and embrace the divine invitation to begin afresh, renewed by the mercy of God. 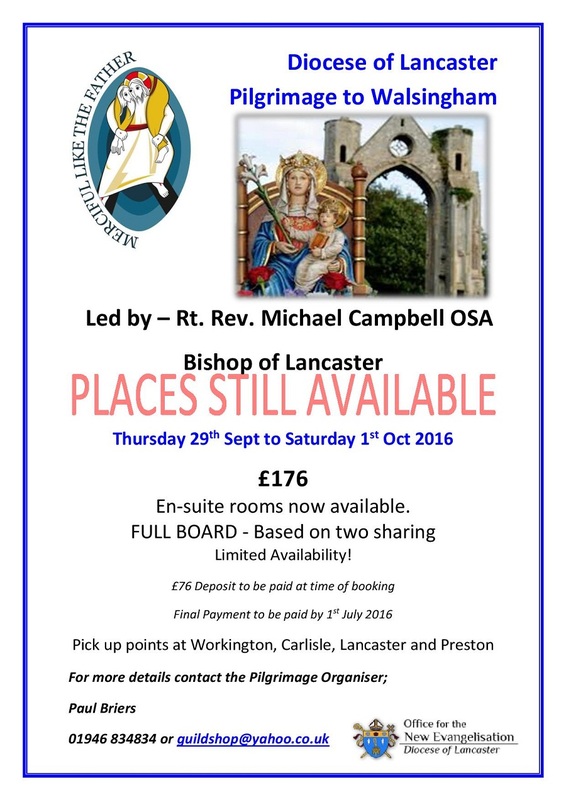 In our own Diocese of Lancaster many Catholics, of all ages, will again set out in pilgrimage in the course of the coming months. 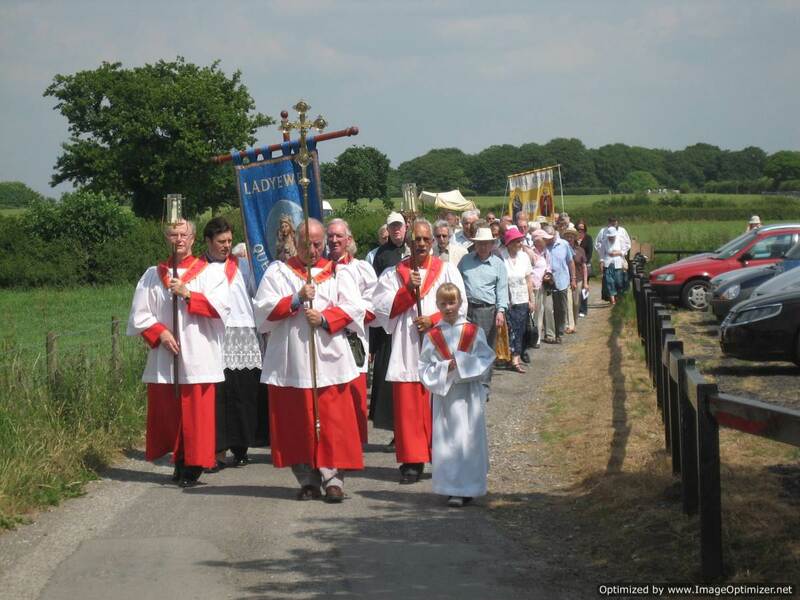 In May, our own ancient Marian shrine of Ladyewell will host the annual Diocesan Altar Servers’ Pilgrimage, where I hope to meet many of our Altar Servers and their families. 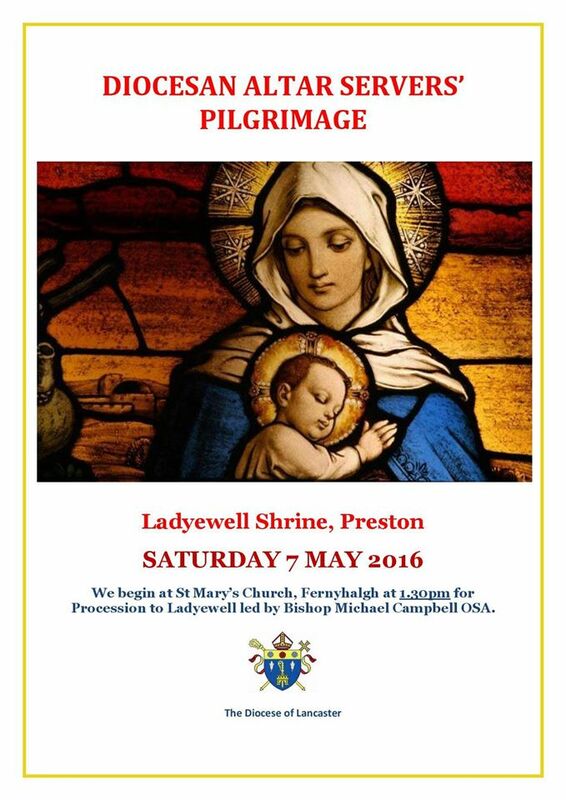 This gathering of faith will followed by the Diocesan Pilgrimage to Ladyewell a few weeks later. 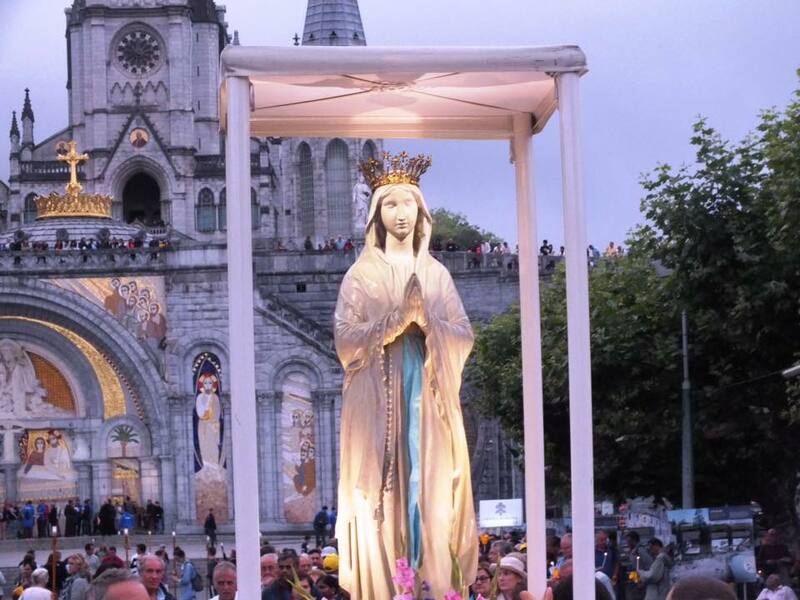 In late July the annual Diocesan Pilgrimage to Lourdes takes place, at which the sick are given pride of place. 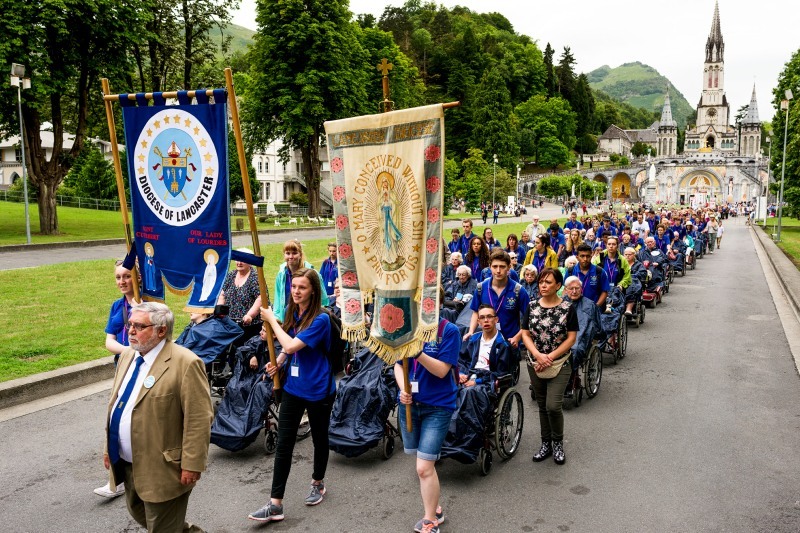 Here our young people, clergy and nurses and carers give a wonderful service to the Lord and his holy people on the pilgrimage in honour of his blessed Mother. At the same time the World Youth Day will see millions of young people come on pilgrimage and gather in Krakow at the invitation of Pope Francis. 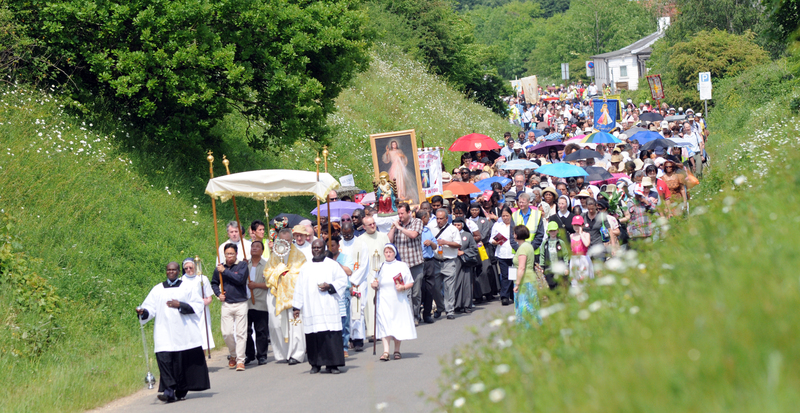 To celebrate the Jubilee Year of Mercy as it draws to a close there will be a Lancaster Diocesan Pilgrimage to Walsingham, where pilgrims have travelled for many centuries to honour Our Lady at her shrine there. No doubt there will be others travelling alone or in small groups to a place of pilgrimage i.e. Rome , the Holy Land etc which appeals to their particular religious devotion. 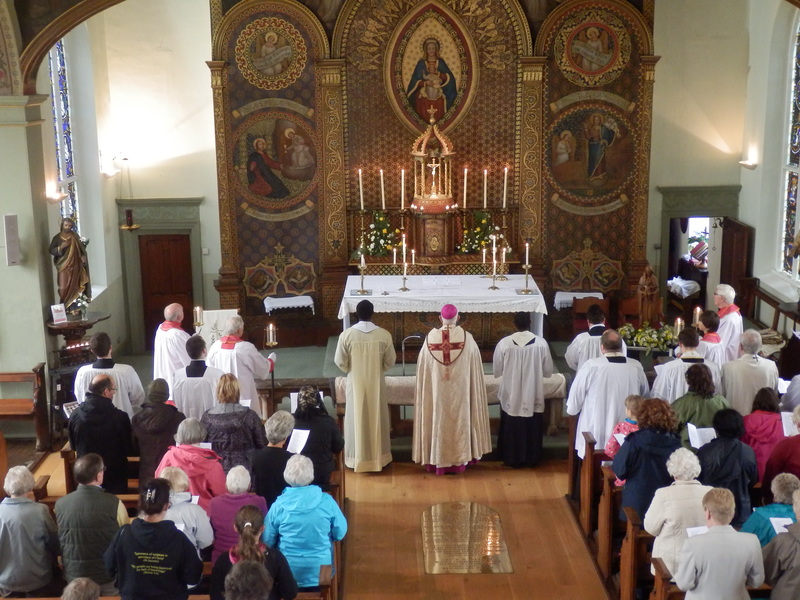 We could also mention in this regard the shrine at Cleator, West Cumbria, where many come on pilgrimage on the Sunday closest to Our Lady’s birthday in September to honour the Mother of God there. A Catholic understanding would see pilgrimage ultimately as a response to that quest deep in the human heart for something more than the ever-changing world in which we find ourselves can offer, and which at times we can find bewildering. 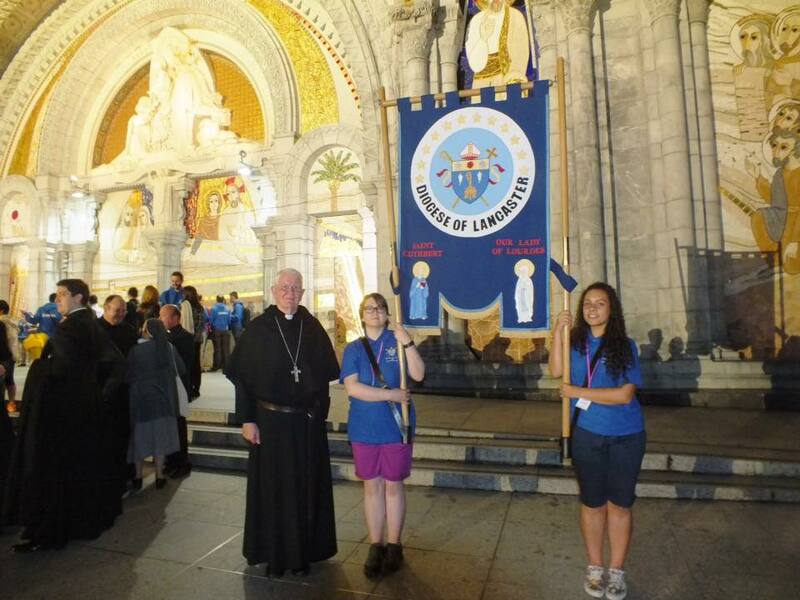 Both the journey of pilgrimage and arrival at our destination have significance. 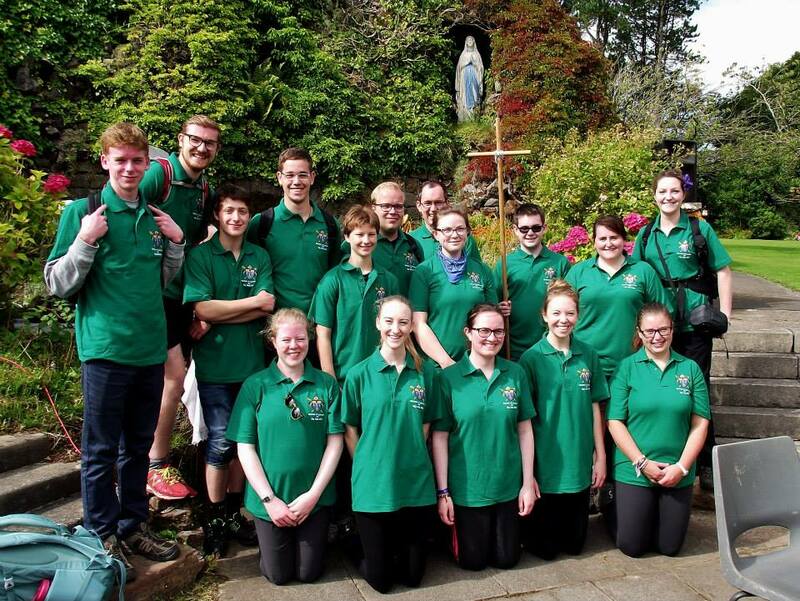 We usually travel with like-minded people who can support us with their company and friendship, often sharing what are their own personal reasons for setting out on pilgrimage. The journey itself is therefore symbolic of our life’s journey which, we pray, ultimately leads us to the vision of God. 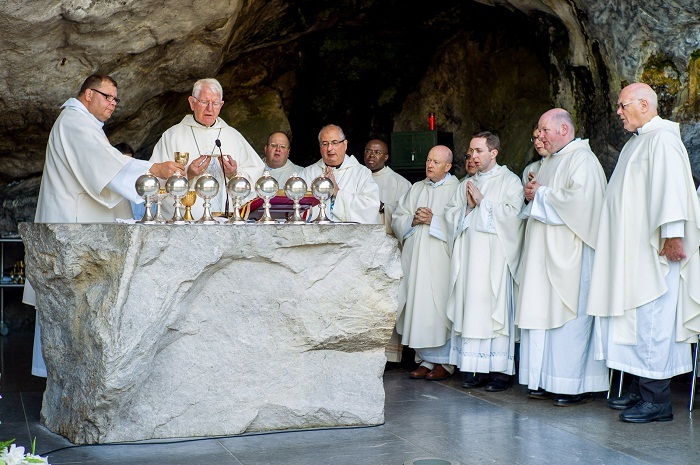 Our presence at the place of pilgrimage, be it Lourdes or wherever, can help us reset the compass and mark the direction of that life’s journey I have just spoken about. We find ourselves in a new place, we observe others at prayer, we reflect on the processions of sick people as they file past and the care given to them. We enter into our spiritual selves, apart from the din and distractions that normally occupy us. In such quiet moments we can discover our place before God, usually with the powerful help of Our Lady. We can also realise our importance as individuals, irrespective of our age, condition or calling in life, and that we do matter and are unique in God’s eyes. 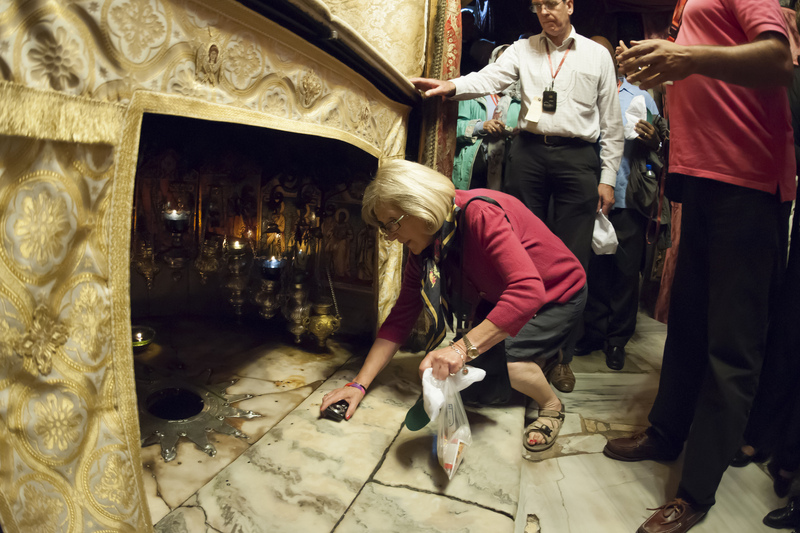 A further and easily overlooked grace of pilgrimage is the awareness that we belong to the Church, which is universal in its embrace and reflected in the nationalities of the pilgrims. 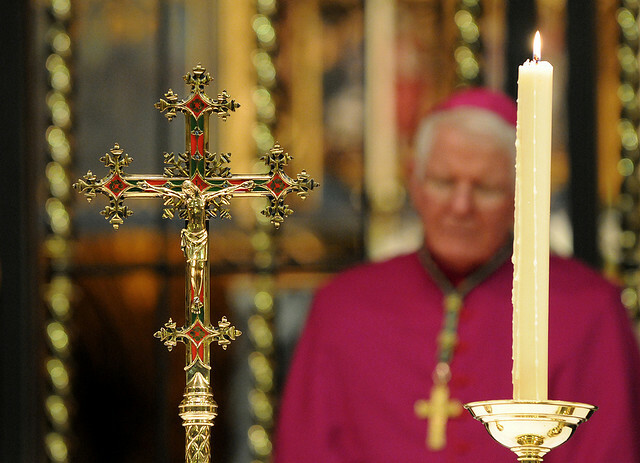 The predominant role of the sacraments – especially the Holy Eucharist, Reconciliation and the Anointing of the Sick – brings us close to the source of these sacraments which is the crucified and risen Christ. On pilgrimage we live out our baptism and priestly calling as God’s sons and daughters by our frequent reception of the mysteries of faith. The gospels relate how the Lord Jesus, on his way to Jerusalem, went up a high mountain with Peter, James and John, his close friends, and there he was transfigured/utterly changed in his Father’s presence. The Transfiguration was a key-moment for Our Lord, an intense ‘stopping point’ as he prepared to face his future suffering, death and resurrection for the salvation of us all. 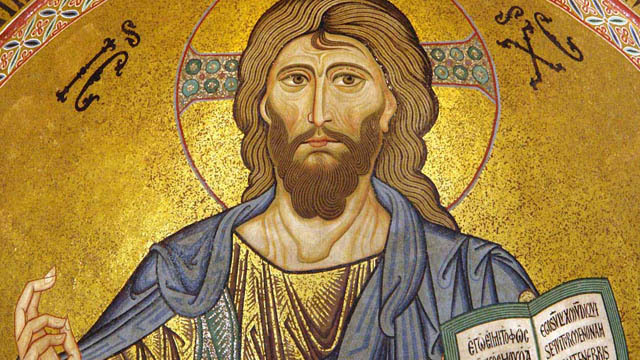 Whatever form our own personal pilgrimage will take in this Year of Mercy, I pray that we too may encounter God our Father, as Jesus did, and find the necessary strength to be ‘Merciful like the Father’.